Chinese manufacturer DJI has announced that owners of its Spark drone have until September 1st to update their firmware to the latest version or be totally locked out. Per Quartz, the decision to essentially hold users’ devices hostage came after reports of the drones randomly falling out of the sky, which users think was due to an issue with Spark’s battery firmware. In a press release, the company suggested it took the hardline approach due to safety concerns. 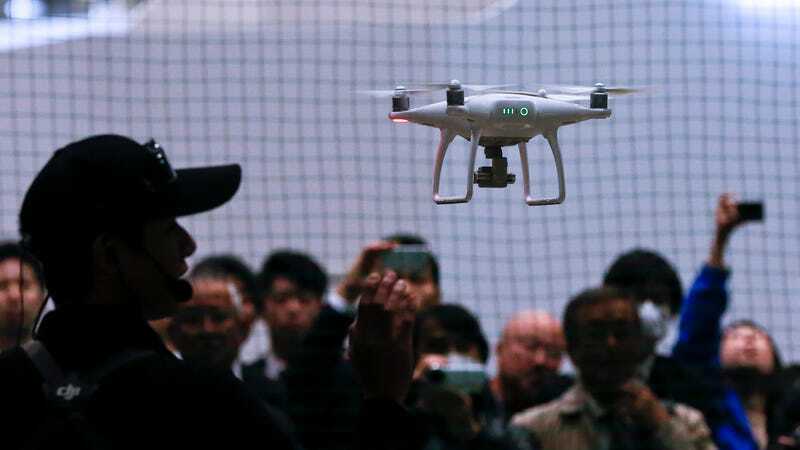 “DJI decided on the option of a mandatory firmware update in order to maximize flight safety and product reliability which we consider as top priorities,” the company wrote. The update will improve stability, connectivity and the battery firmware. While locking users out of their software is questionable, it’s indisputable that nobody wants a blade-spinning drone to come crashing down on their heads. That goes double for a manufacturer which could, in theory, be held liable for a major safety issue. Locking users out is a dramatic measure. But the press release does not rule out the possibility of updating the software after the deadline to return their Sparks to flight-ready status. In the unlikely possibility there is no official ability to install the new update after the deadline, it’s nearly certain the drone community would come up with some kind of way to unofficially update it to the correct version and restore normal functionality. In May, DJI also announced users would be locked out of flight capabilities if they failed to register their devices in its database—ensuring software updates would allow users to comply with regional regulations. The good news: As Gizmodo noted in its review of the Spark, the drone itself is awesome, packing the feature set of a much larger drone into a small and capable package. So if the issues have been fixed, there’s not much to worry about.